^ a b c d e f g h i j Stiles, T.J. (2009). 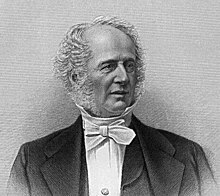 The First Tycoon: The Epic Life of Cornelius Vanderbilt. New York: Knopf. ISBN 978-0-375-41542-5. ^ Van Winkle, Louis (2001). "Gross Ile, MI depot." Michigan Passenger Stations. ^ Berry, Dale. "Railroad History Story: Jackson's Evolution as a Rail Center." Michigan's Internet Railroad History Museum. Accessed 2012-04-16.